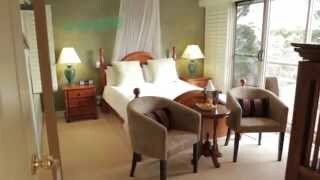 Avocado Sunset is an exclusive and romantic Bed and Breakfast situated at beautiful North Tamborine Mountain. There are four stylishly themed ensuite guest rooms with spa baths, (some with log fires), air-conditioning, scrumptious breakfasts and some of the mountain's best views with amazing sunsets. The guest lounge is the perfect place to relax and unwind. Enjoy a relaxing break from your hectic lives and snuggle up with the one you love. Sit on the deck with a glass of wine and a cheese platter, you don't even need to go out! Avocado Sunset is close to many great restaurants, wineries, the cheese factory, the award winning distillery and numerous bush walking trails. Avocado Sunset is also a great venue for a group of four couples, family or friends to spend time together. At the end of the day you can share a quiet glass of wine on the deck and watch the magnificent sunset unfold. So come on up and stay a while, feel yourself relax and unwind, and leave feeling rejuvenated and ready to face the world below. The Mediterranean Room reflects the colours of this part of the world with blues, whites, gold and terracotta. It has a wonderful deep claw foot bath to relax in with a separate shower. There is a large sunny deck to enjoy forest and valley views beyond. The room has reverse cycle air-conditioning for your comfort and is equipped with small fridge, crockery, cutlery and tea/coffee making facilities. It comes with LCD television and DVD player as well as a clock radio/iPod dock for the entertainment of guests. The Safari Room gives you a feeling of Africa with its hot colours and netted four poster bed. This is a truly romantic room complete with huge double spa built for two and a cosy log burning stove. The room overlooks the Canungra Valley to the western range and the sunset beyond. Enjoy the views from the spa and the privacy of your deck. The room has reverse cycle air-conditioning for your comfort and is equipped with fridge, crockery, cutlery and tea and coffee making facilities. It has a large LCD television with DVD player and there is also a clock radio/iPod dock in the room. The theme of this room is of cool green rainforest colours, the queen bed is romantically netted. The huge double spa bath is built for two with views of the western range and sunsets. Enjoy the views from the spa and the privacy of your deck. The room has reverse cycle air-conditioning for your comfort and is equipped with fridge, crockery, cutlery and tea and coffee making facilities. It has a large LCD television with DVD player and there is also a bluetooth speaker/clock radio in the room. The Oriental Suite is a two roomed suite with a lounge off the bedroom. It has a log burning stove for those cold winter evenings. There is an LCD television and DVD in the lounge as well as in the bedroom. The bathroom has a single spa looking into the illuminated rainforest garden. The room has reverse cycle air-conditioning for your comfort and is equipped with fridge, crockery, cutlery and tea/coffee making facilities. There is also a clock radio/iPod dock in the room.